Time To Reach A Verdict, Is The Tesla Model S P100D Really Worth $140,000? DriveTribe gets to the heart of what makes the most advanced electric car as good as it is. 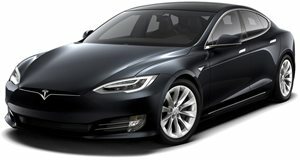 One of the main ways that Tesla has managed to edge its way into the hearts of the automotive community has been through its Ludicrous Mode launches that leave Hellcats in the dust on the drag strip and render multimillion dollar supercars endowed with the most highly advanced Formula One technology redundant. However, there’s quite a bit more to the Model S than harsh 0-60 mph rushes because love them or hate them, there’s no question that Elon Musk’s first sedan has changed the game for good. When automotive reviewers get behind the wheel, they tend to set the Model S into Ludicrous mode in search of the same thrills they’d get with a big fuel-chugging motor, but DriveTribe wanted to go beyond that and see what the car is about when not on the race track. Like it or not, the electric car seems to be the mode of transport that will be most prevalent in the future and as one of the most advanced EVs on the market, it pays to get to delve into the trivialities that give the Model S its winning character. Jethro Bovingdon brings up generally unspoken aspects about the car like the fact that it can be driven with a single pedal thanks to harsh regenerative braking. And then there’s the fact that traveling takes a bit more planning thanks to recharge times being a factor. Regardless of the differences, it seems that Tesla has set a precedence that will make it hard for other automakers to get away with half-assed attempts in the future.